Our instructors have decades of experience in each of the fields they teach in, plus much life and teaching experience. The instructors all read, research and take courses to keep current in their various fields. They have worked with students for many years. *Each of us have pioneered a job in a field that is unusual, before becoming an instructor, taking financial risks for what we believed in. Yet none of us were able to settle with being only our partial selves in our work lives. As we applied the techniques we learned from our various wholistic fields, we were not happy to just isolate them to a part of our lives, but needed to integrate them more thoroughly. We have this same hope and belief for our students- to live what they learn. Each of our students will have the opportunity to develop new skills and gifts they can apply to themselves, their families, jobs and communities. They learn to be more responsible creators and start to appreciate the impact their decisions have on the planet. What sometimes remains unseen is the amount of compassion the instructors have for the students as they go through much learning and change. Also the amount of ingenuity each instructor has in setting up courses and programs to give students a mix of intuitive, experiential and field related information is seldom relayed. Skye specializes in Feng Shui for the home and business. She received her Feng Shui Training in Penang, Malaysia, San Diego and San Francisco. Skye is also a Tarot practitioner (since 1978). 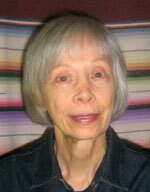 Read more about Skye’s, Tarot Certificate Program– and a certified Archetypal Dream Therapist. 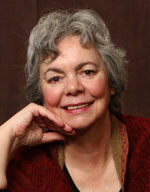 She trained with Marcel Vogel, Gemisphere and Gem Formulas in various crystal healing modalities. An exciting new addition to the college is Skye’s Crystalline Gemstone Therapist Program, http://northernstarcollege.com/program/programs/crystalline-gemstone-program/. Skye has also studied the shamanic techniques of journeying, extraction and soul retrieval. 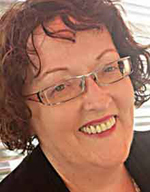 Catherine has been a professional astrologer since 1986 and a certified hypnotherapist (1997), as well as a certified teacher in ayurvedic studies. Her introduction in the early 80’s to yoga, meditation & astrology rekindled a childhood fascination with all things mystical and a journey began. Weaving together Eastern and Western teachings, which includes training in different branches of astrology and meditation, has aided Catherine in creating her own unique teaching method and lifestyle. Catherine founded The Center College in 1994 and from 1995-2003 owned and edited Mosaic magazine. Go to Amazon.ca/Robert Rogers for over 40 of Robert’s books. 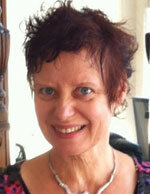 Laurie is a certified aromatherapist, flower essence practitioner, and dreamworker. She has taught about alternative healing for over 25 years. 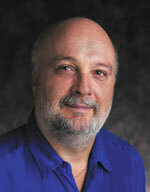 Laurie has an academic background in Applied Research and General Studies focusing on Women and Psychology. She specializes in creating aromatic blends. She loves teaching goddess mythology and facilitating creative projects and student transformations. She has studied with depth psychologists, Stephen Aizenstat of Pacifica University and Clarissa Pinkola Estes, author of-Women Who Run With Wolves. Laurie is an aromatherapist and blend creator for Scents of Wonder Aromatherapy, owned by Laurie and Robert.